Taking a tax to the top is advised as it’s a long walk up the long hill. How popular is Liberation Museum? People normally club together Parc Emmanuel Liais and Chateau Des Ravalet And Park while planning their visit to Liberation Museum. 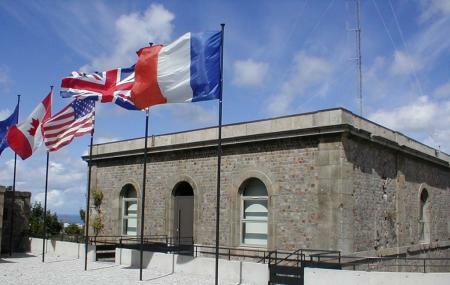 The museum offers great insights into the role played by Cherbourg during the Liberation in the wider context of life in France, and propaganda war at the time. The BATTERIE DU ROULE guided visit (outside the main museum half way up the hill) is a great way to feel and understand how German troops lived and fought at the heart of the mountain - a trip through the network of galleries dug in preparation to potential attacks. Must see!! Little or no information about the actual fortress and no access to the cannon batteries below (separate tour). That being said, the museum provides interesting facts about the area during the WW2. Some English information lacking here and there, but all in all good. Nice walk up and a great view of the city. Used around 45 minutes there. Good steep walk, may be better to go up in a car, there is free car parking realy good view from the top see all over the town and harbour.